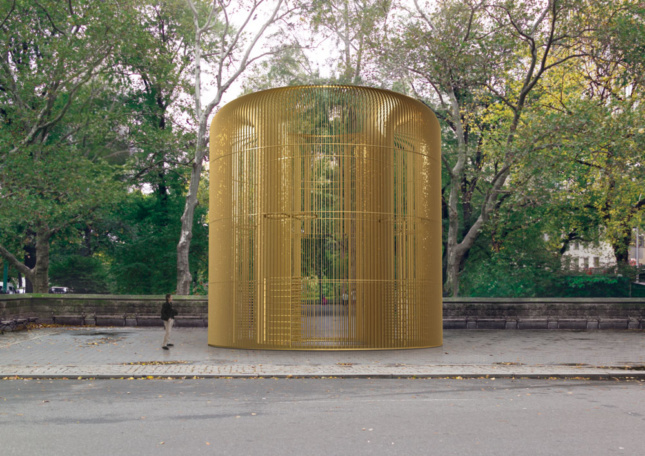 Thanks to the Public Art Fund (PAF), New Yorkers will be able to find art from Chinese artist Ai Weiwei in all five boroughs, commencing October 12. Titled Good Fences Make Good Neighbors, Ai’s work falls on PAF’s 40th anniversary and features 18 sculptural installations, 200 two-dimensional works, and 100 documentary images. Ai, who studied Western modern and contemporary art in New York City as a student in the 1980s, reflects current global geopolitics and international migration in his work. 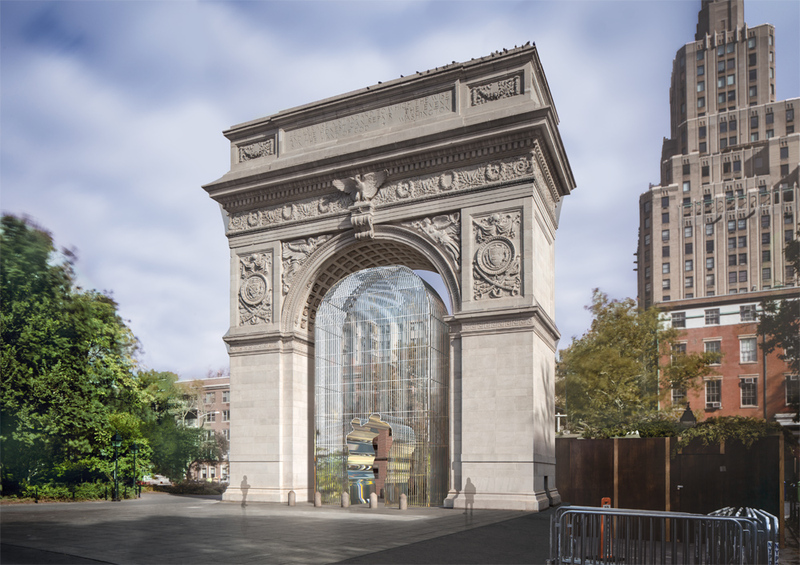 Some of Ai’s installations, such as a metal cage under the Washington Square Arch, are site specific, whereas others, like a new series of more than 100 images found on JCDecaux bus shelters and newsstands, as well as LinkNYC kiosks, are not. With regard to the latter, the documentary photographs will be paired with quotes from poets and writers and will touch on global displacement. These will appear in all five boroughs, as will 200 lampposts banners that have images of displaced people on them. As for the other large-scale sculptural installations, these can be found at the Doris C. Freedman Plaza in Central Park; the Unisphere, at Flushing Meadows Corona Park, Queens; 48 East 7th Street, East Village; 189 Chrystie Street, Lower East Side; 248 Bowery, Lower East Side; The Cooper Union for the Advancement of Science and Art, Astor Place; Essex Street Market, Lower East Side; and ten JCDecaux Bus Shelters in Downtown Brooklyn and Harlem. Ai will create variations on the fence—from metal chain link to synthetic netting—to form interventions that adapt to their sites, as if growing out of urban space and changing how we relate to the fence and our environment. Good Fences Make Good Neighbors runs through February 11, 2018.